During that procedure, doctors insert a bone-biopsy needle through an incision to get a bone marrow sample - or make a larger incision and remove a section of bone via surgery. The blood test, described in the journal Integrative Biology, uses a small plastic chip about the size of a credit card that can deliver the same diagnostic information as a bone biopsy - but using a simple blood draw instead. "For the last 10 years, we have been developing a blood-based test for a variety of cancer diseases - one of them is multiple myeloma," said Steven Soper, a professor at the University of Kansas. "We will be able to eliminate the need for bone-marrow biopsies and allow the clinician to determine the best way to treat the disease using a blood draw," said Soper. "From this test, the clinician will be able to determine the stage of the disease, what type of drug will best treat the disease and monitor for signs of recurrence if the disease goes into remission," he said. "The chip we are using, because it is made from a plastic, can be injection molded, the same method that is used to produce CDs, DVDs and Blu-ray Discs," Soper said. 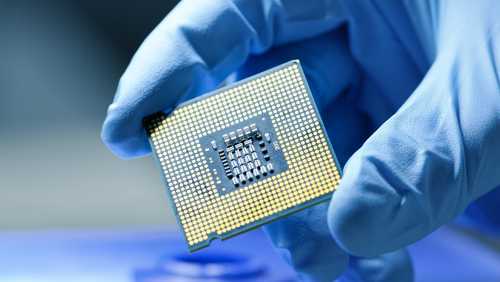 "What is really nice is we can produce these chips for a couple of dollars per chip, which makes it really appropriate for testing in a clinical setting," he said.